UPDATE: Hold the phone. House Speaker Nancy Pelosi says this fight is not over. Congress has failed to reach the two-thirds majority they need to override President Trump's veto of their resolution against his emergency declaration order. The final tally was 248-181. Breaking: The U.S. House lacks the votes needed to override Trump’s veto of a resolution that would overturn his emergency declaration to build a wall on the southern border without congressional approval, @business reports. 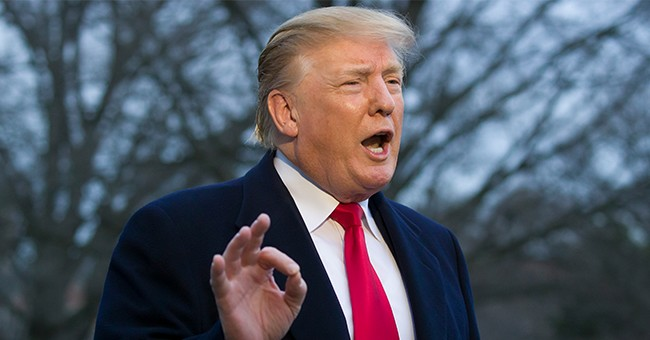 In his emergency declaration order, Trump announced he had found $8 billion to expand a wall at the U.S.-Mexico border. Both the House and Senate, concerned about the constitutionality of the declaration, passed a disapproval resolution to block it, which prompted Trump to use his veto power for the first time. Thirteen Republicans supported the effort to block the emergency order. Trump is enjoying a string of wins this week. The news out of Capitol Hill comes after the DOJ sided with U.S. District Court Judge Reed O'Connor that Obamacare's individual mandate is unconstitutional, and after Robert Mueller concluded the president did not collude with Russia. After he had lunch with the president, Senate Majority Leader Mitch McConnell told reporters that Trump was in "a very good mood for obvious reasons."